Algerian disco? Turkish progressive rock? Austrians covering Syrians? This week’s podcast has all and more – with new delights from Soap&Skin, Bill Wells with Yo La Tengo, Floating Points, and Misty’s Big Adventure. Also great new electronic oddities, grown up nursery rhymes and plenty more. 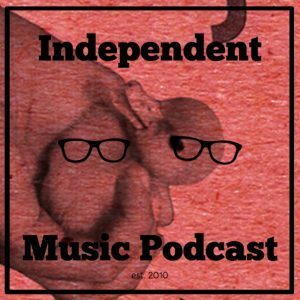 It’s a bank holiday, but that doesn’t stop the Independent Music Podcast – inane chatter about chocolate records, Canadian slave labour camps and the acting career of Stan Collymore mixed with the latest and greatest new independent releases – and the usual two bands no longer with us. Episode four – the noise strikes back! After a somewhat mellow outing last time, there’s a bit of noise in this podcast. Gareth and Anthony also battle songs of independent bands no longer with us in their new section… earplugs necessary!